Winner of the pretigious Literary Awards Hugh Maclennan Prize for fiction in 2001 and the Man Booker Prize in 2002, Yann Martel's "Life of Pi" is now a movie adaptation by 20th Century Fox helmed by filmmaker Ang Lee and is starred by newcomer Suraj Sharma as the titular character Pi Patel. Lee, whose many other honors include an Oscar nomination for his direction of “Crouching Tiger, Hidden Dragon,” and whose “Sense and Sensibility” was a Best Picture nominee, shot “Life of Pi” in 3D, utilizing groundbreaking techniques to capture the story’s epic scope. One of the world’s largest producers and distributors of motion pictures, Fox Filmed Entertainment produces, acquires and distributes motion pictures throughout the world. These motion pictures are produced or acquired by the following units of FFE: Twentieth Century Fox, Fox 2000 Pictures, Fox Searchlight Pictures, Fox International, and Twentieth Century Fox Animation. 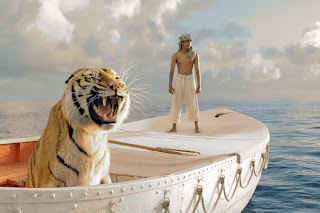 “Life of Pi” is a Twentieth Century Fox release to be distributed nationwide by Warner Bros. on January 8, 2013.